Both Audi and Porsche are siblings under their parent group, Volkswagen. Porsche might not like to admit it but the two brands have a lot in common. Despite that, they still compete in good old fashioned sibling rivalry. The latest sibling rivalry between both brands will be the Audi Q8 versus the all-new Porsche Cayenne Coupe. It’s been a long time coming, the Porsche Cayenne Coupe. We saw extremely early spy photos of it a couple of years ago. Then, it was just a rumor, an idea the folks in Stuttgart were toying with. Now that it’s finally here, we have to say that we’re impressed with how it looks. Early spy photos of the Cayenne Coupe were not great looking but the final car looks pretty good. It’s still not beautiful but no coupe-like SUV is, really. However, it does look sportier than the standard car and that’s sort of the point, isn’t it? The roofline is pretty normal until it drastically drops down toward the back end. It’s all very Porsche-looking and in keeping with the brand’s famous rear ends. It also gets muscular rear haunches and an aggressive roof spoiler. 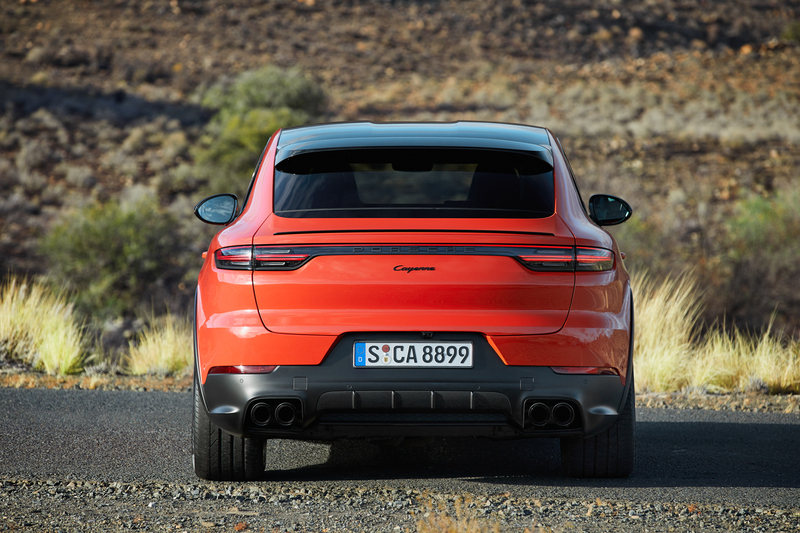 One cool touch that is lacking on other coupe SUVs is the active spoiler fitted to the Porsche Cayenne Coupe. While it’s not as awesome as the one fitted to the Panamera, it’s still a cool touch. Thankfully, it still looks as handsome as the standard Cayenne from the B-pillar forward. Though, there does seem to be a bit of a pseudo double-bubble roof, implying sportiness. Although not a single Cayenne Coupe owner will drive one with a helmet on, it’s cool to see the nod toward motorsport. Inside, it looks identical to the standard Cayenne but that’s no bad thing. In these press photos, the car we see has some cool cloth/leather seats — similar to those found on the Porsche 911 R — and an Alcantara steering wheel, both pointing to its sportier nature. 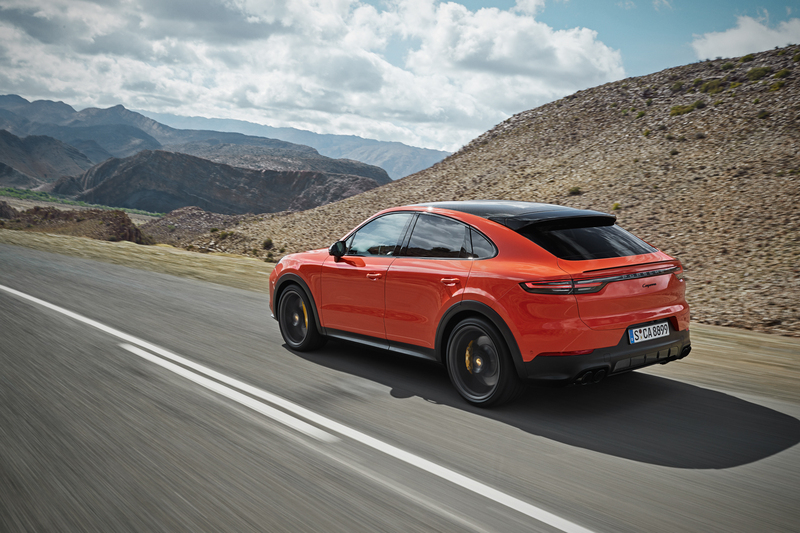 It’s hard to tell which is better looking, this new Porsche or the Audi Q8. From the B-pillar back, I like the Q8 more, personally. But it’s hard to love the Audi’s gaping mug, so the Cayenne takes it from the B-pillar forward. Still, neither is perfect but they’re both pretty good looking cars. 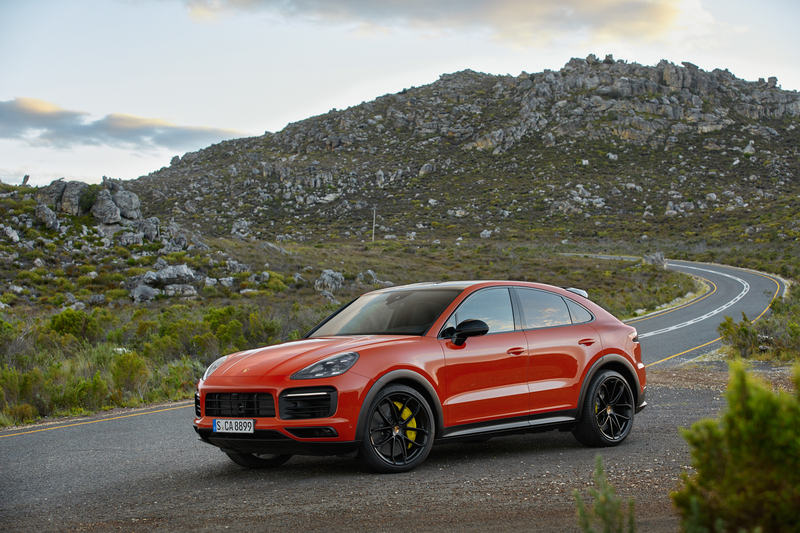 At launch, the Porsche Cayenne Coupe will come with two engines; a 3.0 liter turbocharged V6 making 335 hp and 332 lb-ft of torque and a 4.0 liter twin-turbo V8 making 541 hp and 567 lb-ft of torque. 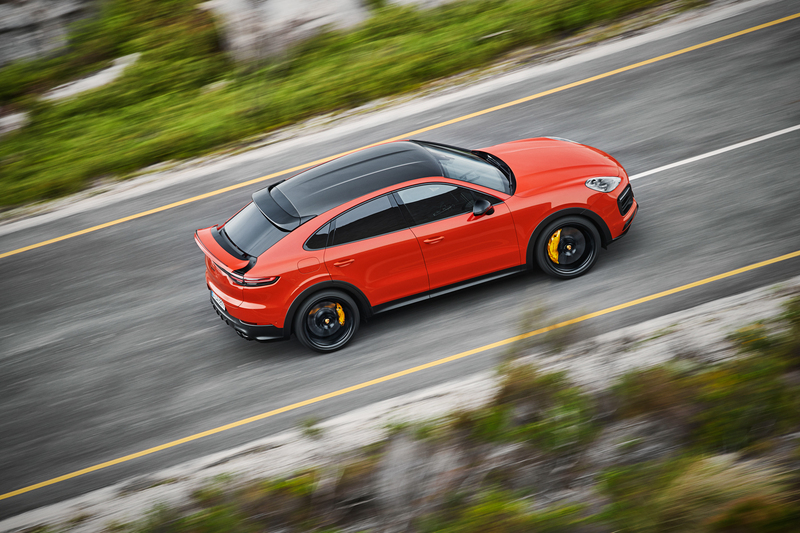 The latter of which will come only in the Cayenne Turbo Coupe. They’ll get from 0-60 mph in 5.6 and 3.7 seconds, respectively. Neither will be cheap, though. Prices for the Cayenne Coupe and the Cayenne Turbo Coupe will start at $75,300 and $130,100. Still, it should be a sporty thing, the Cayenne Coupe. We’re interested to drive it and see how much sportier it is than the Q8.